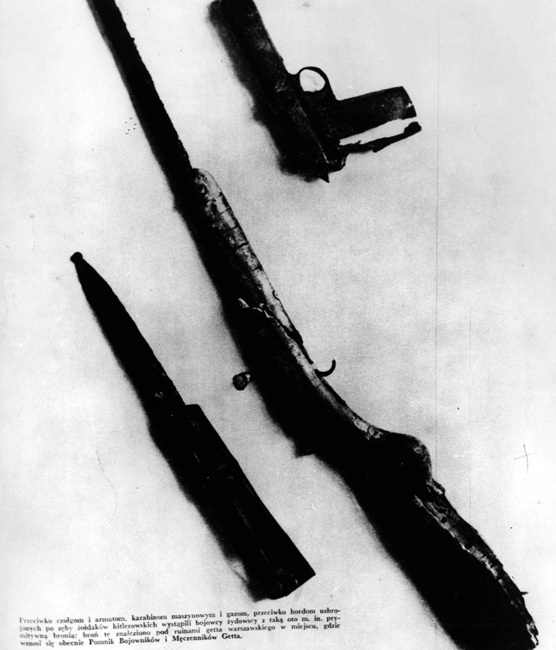 Following the events of January 1943, members of the underground in the ghetto continued their preparations for an armed uprising. The Jewish Fighting Organization's first armed encounters strengthened their standing both among the Jews in the ghetto, and also with the Polish underground movements. However, this experience also exposed the difficulties which now faced the organization, in particular a severe shortage of weapons; most of the money used to buy weapons was forcefully sequestered from the Judenrat and the ghetto residents. 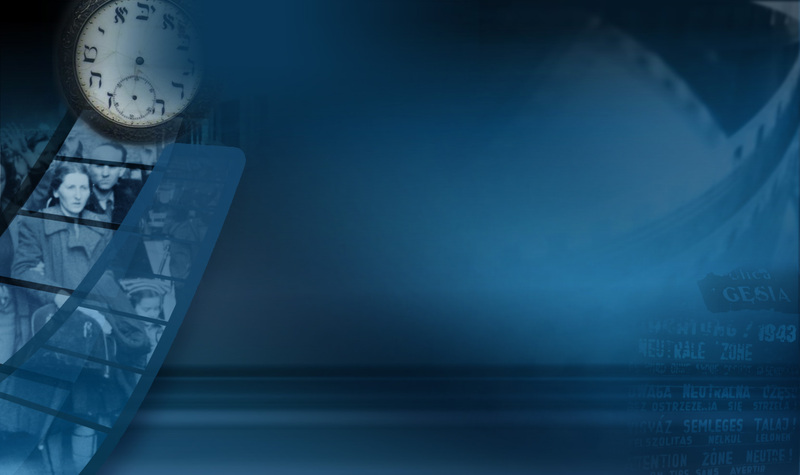 During this period the Jewish Fighting Organization underwent a process of reorganization and consolidation. The ghetto was divided into three main combat zones: The central ghetto was commanded by Israel Kanal from Akiva. 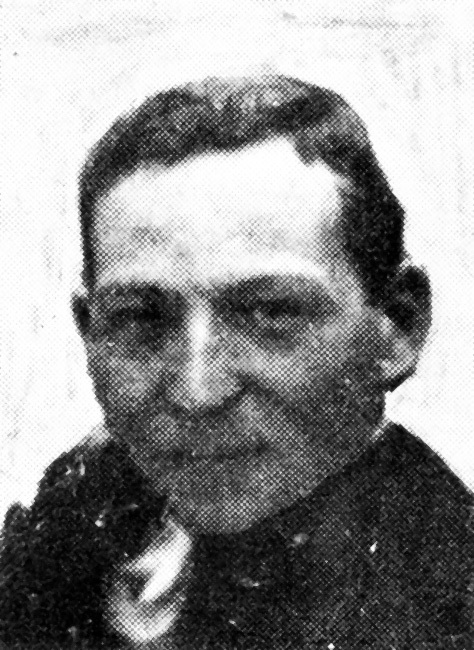 Yitzhak-Antek Zuckerman from Dror commanded the industrial area (the Schultz and Toebbens workshops). Not long before the uprising broke out Zuckerman was sent to the Aryan side of Warsaw on an arms buying mission for the Jewish Fighting Organization; he was replaced in command by Eliezer Geller from Gordonia. Marek Edelman, a member of the Bund, commanded the brush workshop area. Parallel to the reorganization of the Jewish Fighting Organization, the Jewish Military Union, founded by the Revisionist Movement and Beitar, also underwent a process of consolidation. Although founded by a political party, the Jewish Military Union also accepted members who were politically unaffiliated. The Jewish Military Union worked to punish Nazi collaborators, purchase arms, and prepare for the uprising. Over time, the Jewish Fighting Organization and the Jewish Military Union began to coordinate their actions; they shared intelligence, and cooperated in the defense of the ghetto, dividing the territory into coordinated military zones. However, the two organizations were never formally unified. In addition to these two military organizations, the underground branches of political parties, the ghetto was also home to several "wild" groups of armed resistance fighters. Some of these abused the situation in the ghetto to carry out robberies, while others sought to fight the Germans. Some of these groups took part in the uprising. In the wake of the events of January, the Jews in the ghetto became more resolute in their decision not to obey the German decrees; to resist and go into hiding in order to hinder the deportation operations. For the first time, the underground organizations appeared before the Jewish public as an efficiently organized armed force. 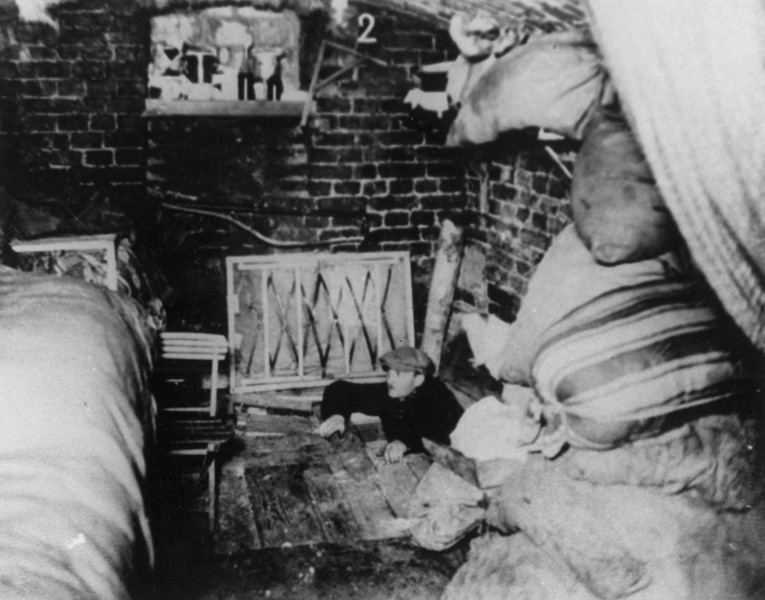 Even prior to January 1943, the Jews of the Warsaw Ghetto had been preparing hiding places for use during the roundups. 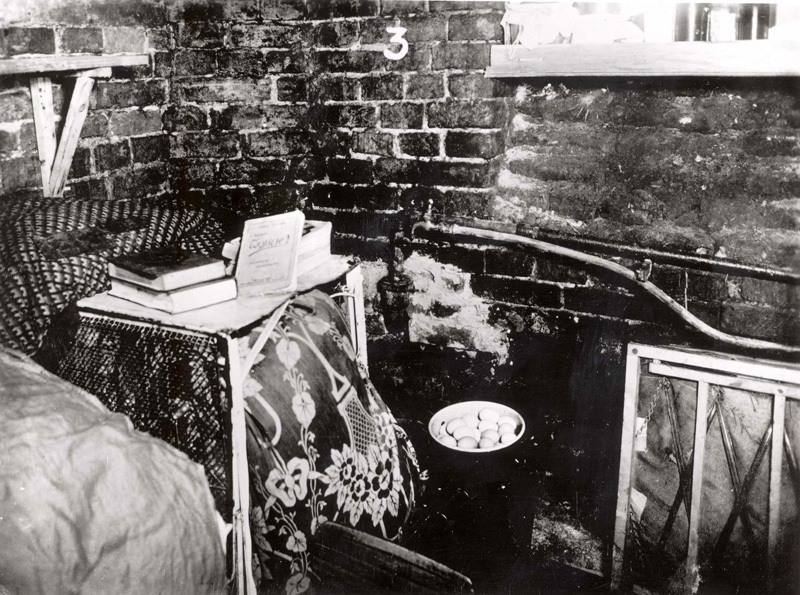 The events of January led them to conclude that the shelters had to be fitted to allow extended periods of hiding, and that doing so might in fact save their lives. They knew the Germans would be back for another set of roundups, and decided to act in order to hinder their plans. 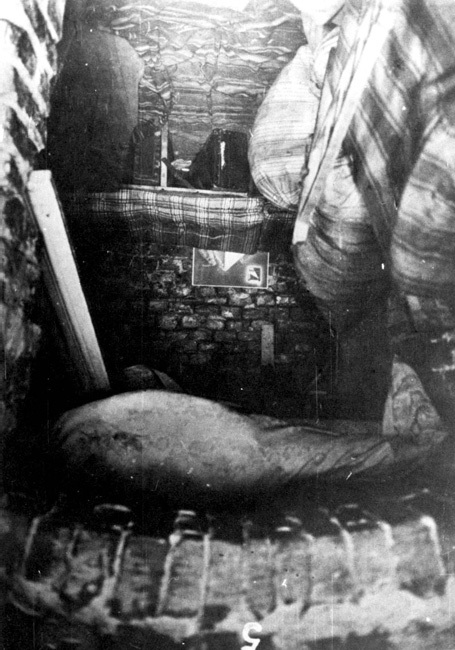 Hundreds of bunkers were dug in the central ghetto, fitted with bunks and supplied with food and medicine. 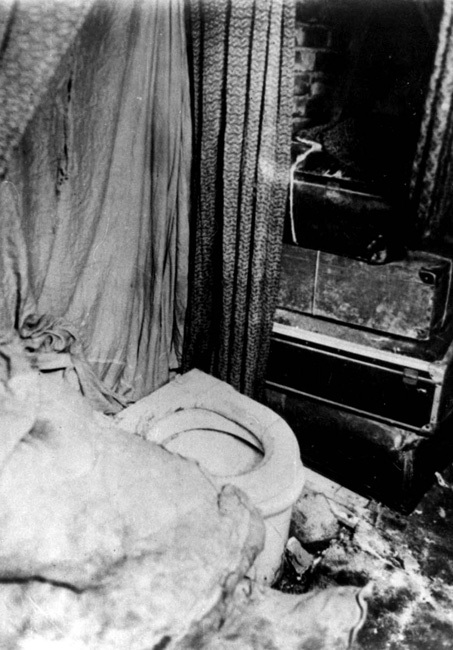 Some of the hiding places were even connected to the electricity system and the municipal sewage to enable their use over long periods of time. The situation was very different for the factory workers, particularly those in the larger workshops such as the Schultz and Toebbens workshops. It was planned that they were about to be deported to camps in the area of Lublin. Some feared these camps would turn out to be death traps. Those who were able escaped to the Aryan side of the city; the rest tried to secure a place for themselves in one of the bunkers. Most accepted the position of the underground organizations, and tried their best to avoid the deportations. The area of the workshops was under tighter German surveillance than the rest of the ghetto which made building bunkers nearly impossible. 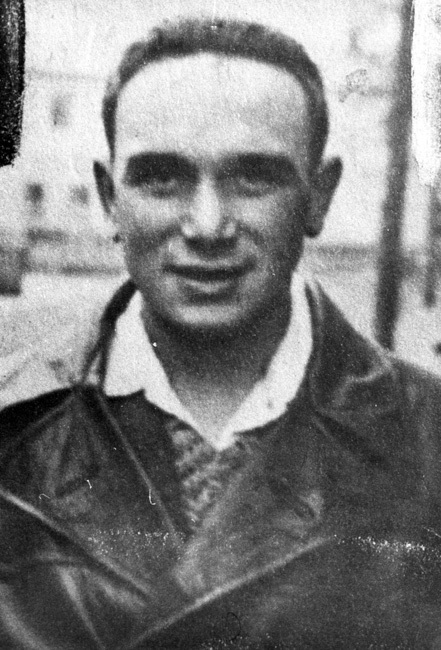 A member of Akiva and the Jewish Fighting Organization in the Warsaw Ghetto, Kanal was born in Bydgoszcz in 1920. In the Warsaw Ghetto he joined the Jewish Police, at the behest of his movement, Akiva, using his position there to help the Jewish underground. After its formation, Kanal became a member of the Jewish Fighting Organization. On the 20th of August, 1942, following a decision taken by the underground, he attempted to assassinate Josef Szerynski, the converted commander of the Jewish Police who collaborated with the Germans in deporting the ghetto Jews to Treblinka. Although he was injured in the attempt, Szerynski survived. In April 1943, during the ghetto uprising, Kanal commanded the central ghetto area. In the final stages, as the uprising was being put down by the Germans, Kanal escaped the ghetto through the sewage system on the 10th of May. 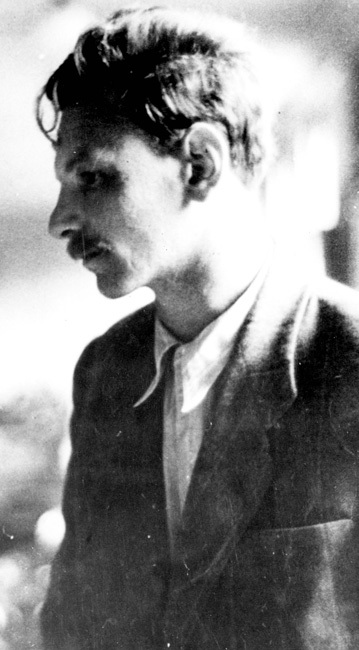 He joined the partisans in the Wyszkow forest, but later fell ill and had to return to Warsaw. His poor health and Jewish appearance made it hard for him to hide on the Aryan side, and he was supplied with false identification papers indicating that he was a foreign national. In August 1943 he was apprehended and deported, first to Bergen-Belsen and ultimately to Auschwitz, where he was murdered. In 1945 Kanal was awarded the "Cross of Valor" by the High Command of the Polish military. Geller was born in 1919 in Opoczno, and was one of the initiators of the fighting underground in Czestochowa and Zagłębie. In 1939, while serving in the Polish army, he was captured by the Germans, only to be released after four months. In Warsaw, he heeded the call to action issued by Yisrael Zeltzer – Gordonia's last surviving leader – and became active in the movement. He clandestinely distributed the Gordonia publications, visiting its branches across Poland, and established contact with the Geneva office of Hechalutz. Geller fought in the January 1943 battles, and was appointed to head the military force in the area of the Toebbens and Schultz workshops. He commanded this company during the April uprising as well. When his company in Leszno Street was besieged, Geller succeeded in escaping by jumping from a second storey window. On the 10th of May, 1943, Geller left the burning ghetto. Escaping though the sewers, he went to the Jewish Fighting Organization's hiding place in the celluloid factory at 10 Listopadowa (11th of November Street). 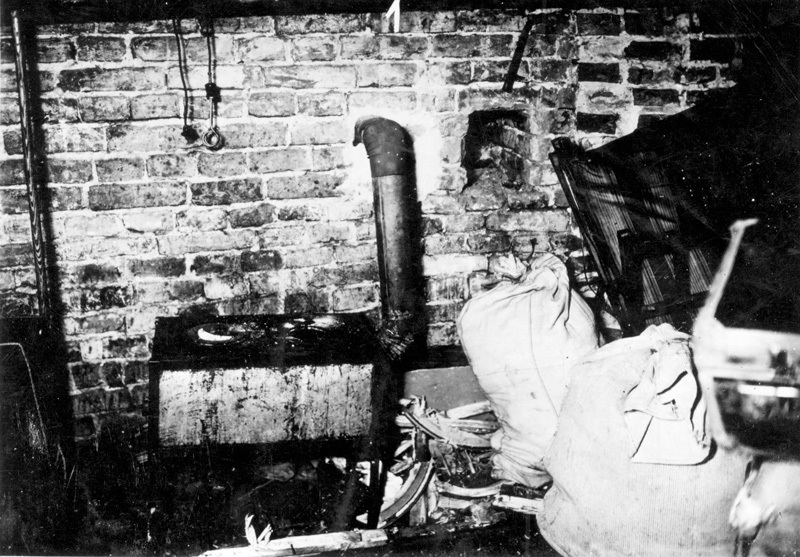 On the 24th of May a fire broke out in the workshop, in which eight of the organization members hidden with him died, among them Tusia Altman. Despite suffering from severe burns, Geller managed to escape and continued his activity on the Aryan side. In summer 1943 he was apprehended and deported to Bergen-Belsen, from where he was transferred to Auschwitz and murdered. A leader of Hashomer Hatzair and the Jewish Fighting Organization. 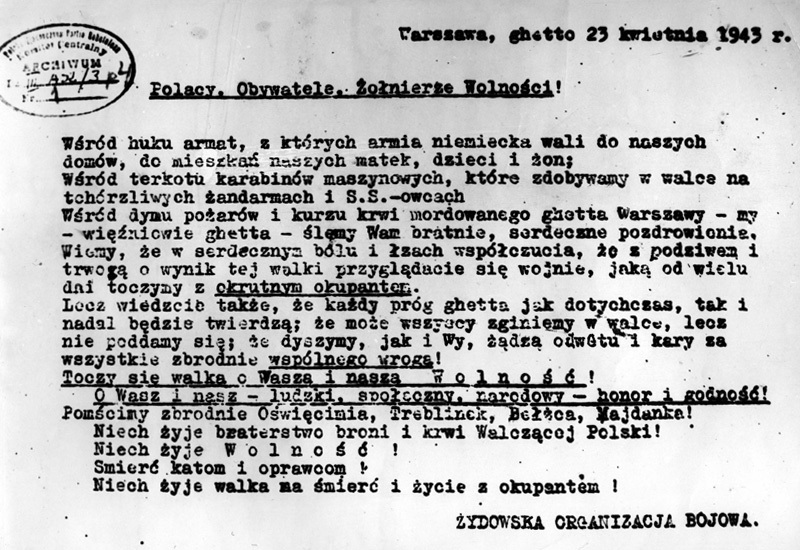 Returned to Warsaw in October 1941 and reported that Germans had murdered Jews in Lithuania. 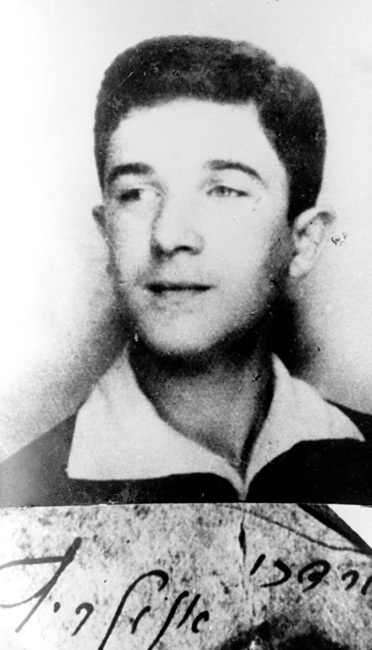 He was killed in the Warsaw Ghetto uprising in the bunker at Mila 18 on May 8, 1943. A member of the Bund party and the Jewish Fighting Organization who was involved in the manufacture and acquisition of arms in the Warsaw Ghetto. He fought in the brushmakers area during the uprising. On April 20, the second day of the revolt, he was killed in close combat with the Germans.